This was breaking news this week, Riccardo Tisci is leaving Givenchy after 12 years with the brand and the house won’t show during Paris Fashion Week. His F/W 2017 menswear collection and S/S 2017 Haute Couture collection, shown together on the runway in Paris on January 20, were his last for the label. Riccardo Tisci with Beyoncé photographed by Anton Corbjin for Vogue September 2015. 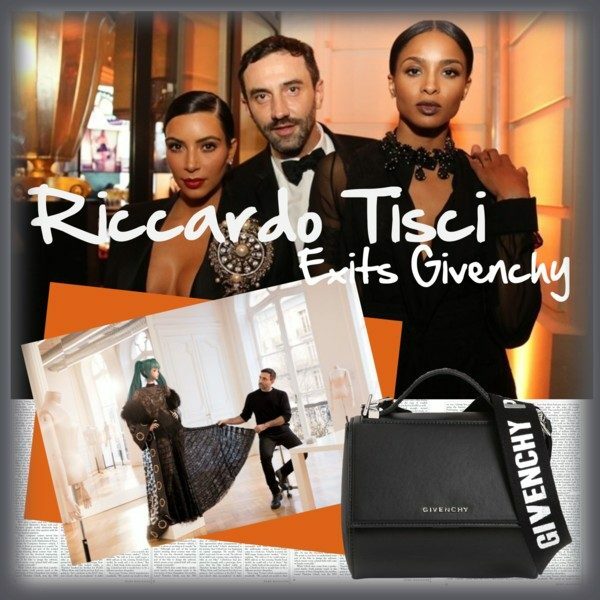 If you are one of Riccardo Tisci’s 1.8 million Instagram followers, then you probably already know that the Givenchy designer is loved by celebrities such as Beyoncé, Madonna, Rihanna and many more… Ticsi’s exit finishes one of the fashion industry’s longest and most successful appointments. Givenchy sequin dress and fox fur cape in US Vogue April 2014. In the last year and a half, Dior, Valentino, Lanvin, Chloé, Saint Laurent, and more have seen their designers leave, which seems to lead to the fact that the short-term position for the creative director of around 3 to 4 years is becoming the new normal. Givenchy ad campaign 2015 featuring Donatella Versace. Concerning Tisci’s future, rumors are out that he will move to Versace, a brand that he has long expressed his admiration for, especially for the work of the late Gianni Versace. Ticsi has built up a close friendship with Gianni’s sister, Donatella, whom he invited to pose in a Givenchy ad campaign in 2015. Donated herself called Tisci’s F/W 2011 collection an homage to her brother. For a previous post, click here please. To pay tribute to this fabulous designer, let’s indulge in some of his most amazing fashion moments, such as his famous Bambi sweater, his love for Rottweilers, and the most beautiful floral prints. The fashion wheel is spinning again… let’s stay tuned! TO SHOP TISCI’S LAST COLLECTION FOR GIVENCHY, CLICK HERE PLEASE.